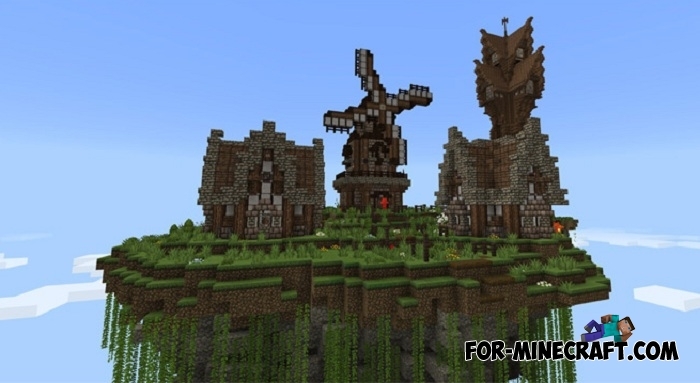 You will appear on a floating island in the sky where there is a small structure built in the style of the Middle Ages. 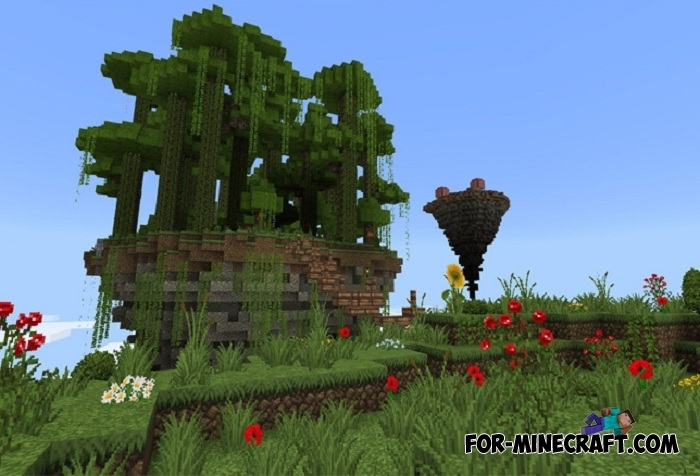 This Minecraft PE map is similar to the SkyBlock but the islands are much larger and more diverse here. You do not have to think about how best to allocate resources or how to build a hut for spending the night. Here you need to explore the neighboring islands and then continue to survive. In fact, such maps are designed for several players. Everyone must start the game from a certain island and eventually build a bridge to the other players. It is possible to use weapons against each other and capture foreign islands. 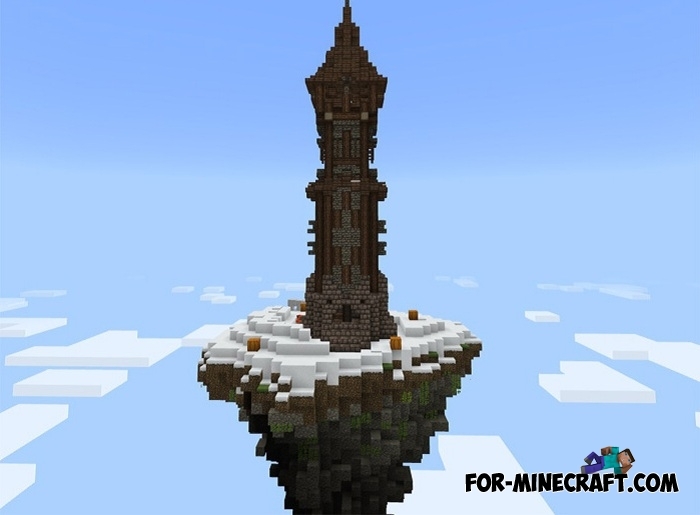 Updated SkyBlock map for Minecraft PE 0.15.7/0.16.0SkyBlock is among the most difficult survive map for Minecraft PE.